NeoSport is a part of the Henderson Sport Group. Based in Millville, NJ (Just a few miles from the original Henderson Boatyard where the company was founded), the company brands are distributed worldwide and remain focused on Style, Performance and Product innovation. NRS Reactor Gloves feature 3 mm neoprene with titanium laminate adhesive provide maximum warmth when you're working in the coldest conditions. 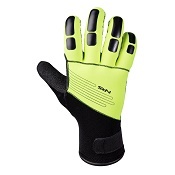 PowerSpan 4-way stretch fabric provides increased finger mobility. 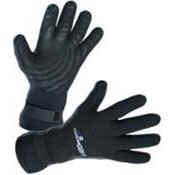 GripCote on the backs of the fingers helps prevent wind chill and evaporative cooling. A soft strip of fleece on the inner side of your hand and forearm is perfect for wiping the sweat from your brow after a successful rescue.